The Konica Minolta MagiColor 2300W is a small-form, personal-use printer designed to fit in a small space and fulfill a single user or perhaps a home network's black and white and color printing needs. Beyond that, it offers extremely limited features and functionality. The MagiColor 2300W measures 14" by 19.7" by 15.4" and weighs 61.3 lbs. Given that it does not physically expand and weighs about as much as a CRT monitor, almost any desk or table could bear the weight of the printer without much trouble. The MagiColor 2300W supports a maximum resolution, in both black and white and in color, of 1200 dpi. 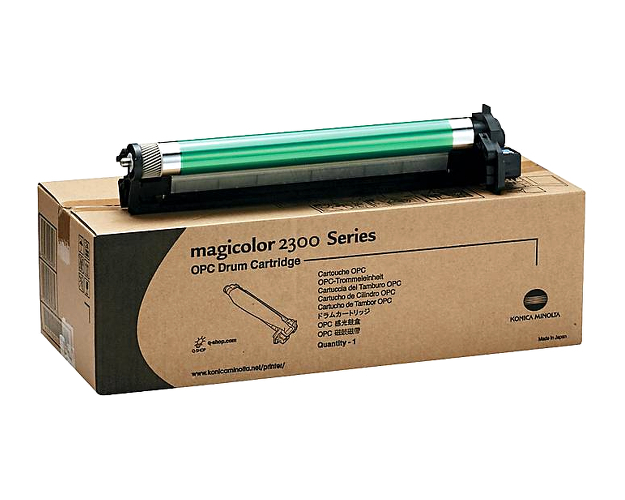 The 2300W supports printing to plain paper, labels, envelopes, and transparencies. It supports standard paper sizes of legal, A4, Executive, Folio, B5, Letter A, JIS B5, Statement, and A5 and envelope sizes of International B5, International DL, International C6, International C5, Japanese Postcard, Com-10, and Monarch. It also supports a maximum custom media size of 8.5" by 14". The 2300W has an IEEE-1284 Parallel port capable of either ECP or EPP communications, as well as a 4-pin USB type B connector and a 36-pin USB connector, making the device effectively compatible with legacy PCs or newer systems. However, do note that there are substantial compatibility issues with some systems (see Cons below). Duplexing is available as an optional add-on. 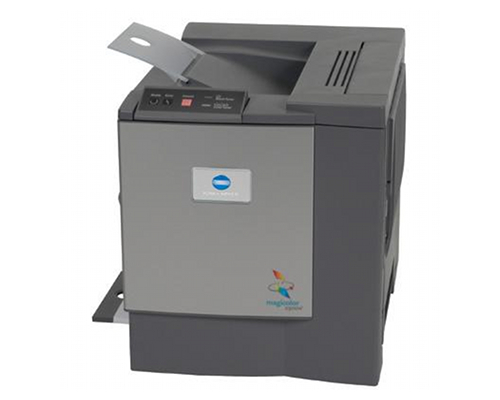 However, there are few other options for expandability, as this is a consumer grade printer. It lacks a means by which you can connect it via Ethernet or wireless networking to a network, though it could be connected to multiple computers via print sharing over an established network or through a third-party device. There are conflicting reports concerning the printer's memory's expandability. Some users claim that the printer's 32MB of SDRAM can be expanded to a maximum of 288 MB and other users report that it cannot. Konica Minolta's own specifications do not provide any additional information to confirm nor deny this. 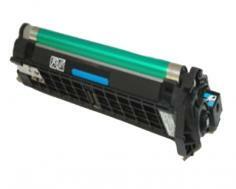 The 2300W prints 16 pages per minute in black and white and slows down to 4 pages per minute when printing in color. It also has a maximum media capacity of 200 sheets, under half a ream of paper. While these will not be issues for home users who do small volumes of printing, this almost completely disqualifies the unit for office use, as many small offices go through at least half a ream of paper daily and print documents large enough to make this particular unit inefficient and potentially frustrating. The 2300W does not officially support non-Windows operating systems, listing only Windows 98SE through Windows XP (but not Windows NT 4.0 or earlier versions of Windows NT) as compatible with the printer's included drivers and utilities. Drivers for current versions of Mac OS X are not officially available from Konica Minolta, nor does Konica Minolta have any intention of developing them. 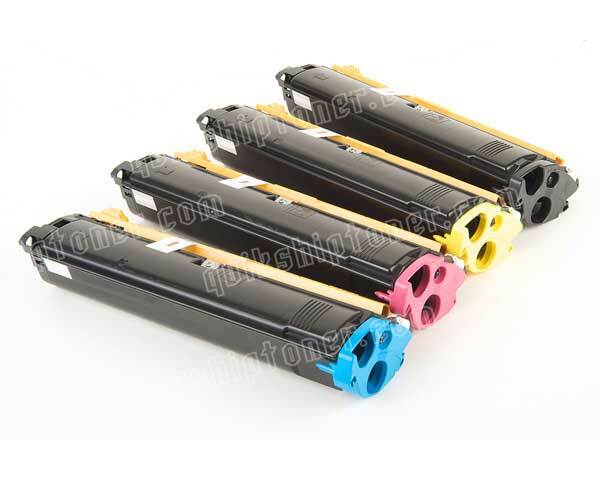 Many users complain about the printer's inefficiency in processing toner cartridges, as well as of having to send print jobs several times in order to get the printer to process them. Additionally, other users have complained that the drum leaves residue of previously printed documents, of noise, and of long warmup times. Users have also complained of power consumption issues, and that powering on the printer has a tendency to trip surge protectors and uninterruptible power supplies' battery backups. Other users have complained that in order to achieve the rated print speeds, one must change settings with the print spooler, such as telling the printer not to print the first copy until the entire job is spooled. Review it: "Konica Minolta MagiColor 2300w "
The MagiColor 2300W includes black, cyan, magenta, and yellow cartridges rated at 1500 pages each at 5% coverage. Standard purchasable cartridges yield 4500 pages at 5% coverage. Every 45000 pages, or every 10 cartridges, the drum unit in the printer will need to be replaced, though given that user consumption of black and color toner will likely vary coordinating a replacement schedule may prove more difficult than it ought to be. This may, however, bring down long-term replacement costs whilst requiring more maintenance in order to ensure that the printer is functioning properly.